Welcome to Secondary English! In this first unit, we will explore some elements of stories and see how stories can be presented visually. 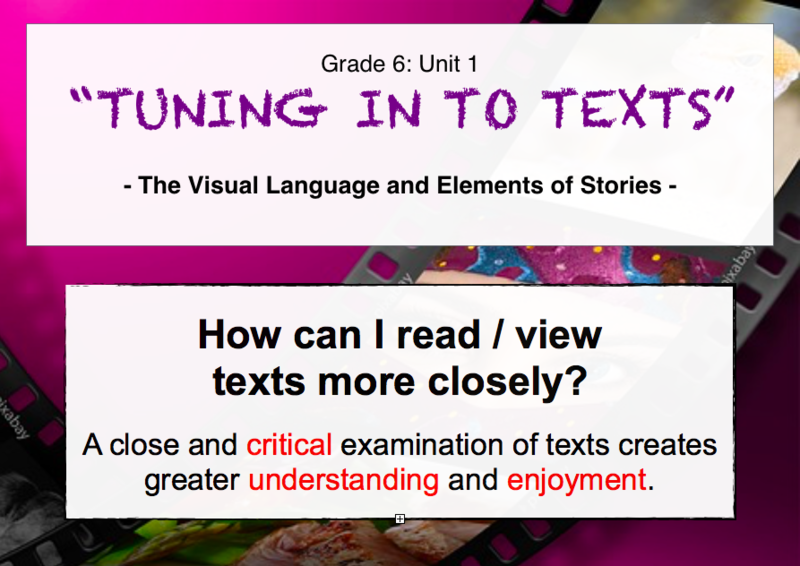 Session 1 – Tuning In To Texts! In this first session, we will watch and analyse a short film to see how essential elements of stories (plot, character, conflict, setting) work together to entertain and move us. We take our analysis of films that one step further by considering how concrete objects (symbols) can indicate abstract ideas (themes). We finish our mini-unit by looking at how camera shot types can also help tell a story by creating both meaning and effect.